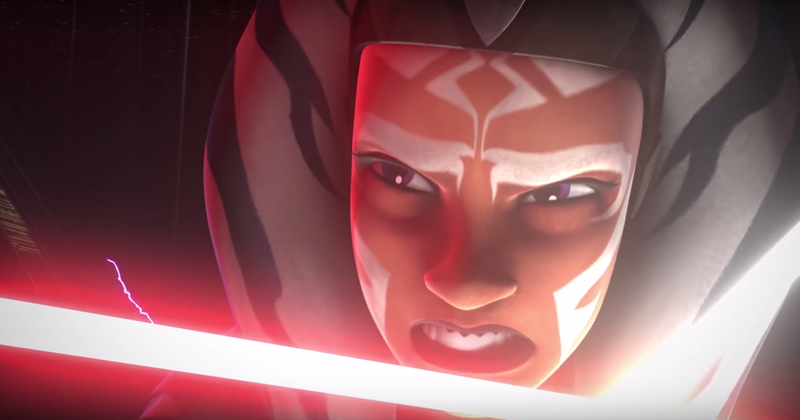 Dave Filoni promises to reveal the final fate of Ahsoka Tano. That was all I needed to hear. But if you want more, you need to watch the Blu-Ray only special featurette: “From Apprentice to Adversary: Vader vs. Ahsoka” on the Star Wars Rebels: Season 2 collection. As you know if you watched Season 2 (and if you didn’t even more reason to go out and get the Blu-Ray for this show), it all ended with a showdown between Ahsoka Tano and Darth Vader. For you Star Wars: Clone Wars fans, you know that Ahsoka was once the apprentice to Anakin Skywalker (who would become Darth Vader) until she was forced out of the Jedi Order. Fans have been dying to know what happened between the two of them after that since there is no mention of Ahsoka in any later episodes of the movie. Season 2 answers those questions. But this featurette, guided and narrated by Executive Producer and Star Wars guru Dave Filoni, talks in-depth about how the paths of Ahsoka and Vader all led up to this. He gives details about how both characters ended up in Rebels in the first place and how that was made possible by their story. But you’ll have to watch the featurette to find out more. At the end of Season 2, Ahsoka’s fate is unknown. She is presumed dead, but is she? Dave promises that her final fate will be revealed. Ahsoka takes on Vader in the Season 2 finale! 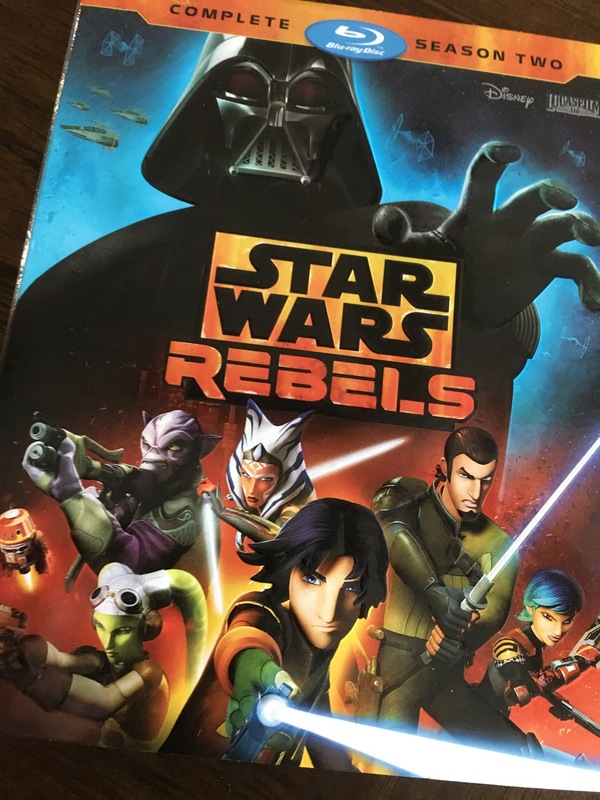 Now if that wasn’t enough to entice you to get this collection, Disney and Lucasfilm has also included a fun Easter Egg filled feature called “Connecting the Galaxy: Rebels Season 2.” Rebels bridges the time between the first and second trilogy of films and so there are many references to things familiar. Obvious links such as Ahsoka, Vader, and Leia are easy to spot, but this feature includes some things that you might have noticed and wondered about and some Easter Eggs you may not have noticed at all. I know I didn’t catch on to the name of the Mon Calamari who designed the B-Wing fighter. His name was Quarrie – as in superstar designer Ralph McQuarrie who’s designs have guided everyone involved in the Star Wars “look.” We find out that Ralph’s contributions extend beyond the original trilogy and has had influences even in Rebels. And that’s only one of many Easter Eggs uncovered. There are more that aren’t covered in the featurette (like Agent Kallus’ reference to Saw Gerrera in the episode “The Honorable Ones”), but they give a great tease of the intricacies of putting together a show like this one. And if having every episode from Season 2 wasn’t enough, Disney and Lucasfilm have also included every Rebel Recon episode for this season. Although you can find them on YouTube, it is very handy to have each corresponding Recon episode with its Rebels counterpart. If you haven’t seen an episode of Rebel Recon it’s more than a synopsis of each show but goes in depth and behind the scenes into details behind it all. Definitely worth watching. Andi Gutierrez is a great commentator and host and makes it fun to watch. Well if that isn’t enough, I really don’t know what will convince you. If you are a Rebels fan this is another must have for your collection. If you’re not – pick it up and you will probably become one right away. Just be sure to catch up before the Season 3 premiere on Sunday, September 25th on Disney XD! Read about our exclusive interview with Dave Filoni at the end of Season 2! Find out why the Season 1 Blu-Ray / DVD was also worth it. What nuggets of info did Dave tease in the Q&A session following the Season 2 finale screening?